Ronnie Screwvala shows his post-UTV moves by taking a shot at uncharted, unheralded businesses. This time he wants to be a team player. Don't take this the wrong way. Ronnie Screwvala has built quite a reputation for himself as an entrepreneur, businessman, manager, and human being. But few believed him in December 2011, when he said he was going to focus all his energy - for the subsequent five years - on building the India business of The Walt Disney Company, which had just bought his films and broadcast company UTV. And the disbelievers included his friends; they thought he was a restless soul. In fact, even as Screwvala started his stint with Walt Disney as its India Managing Director, he had already set up an Rs 800- crore venture capital fund, which went on to invest in companies such as the online eyewear retail, Lenskart, Micro Housing Finance Corporation, which, as the name suggests, finances low-cost houses with small loans, and agricultural seeds company INI Farms. Screwvala maintained that the fund was part of his family office and being managed by his wife, Zarina Screwvala. 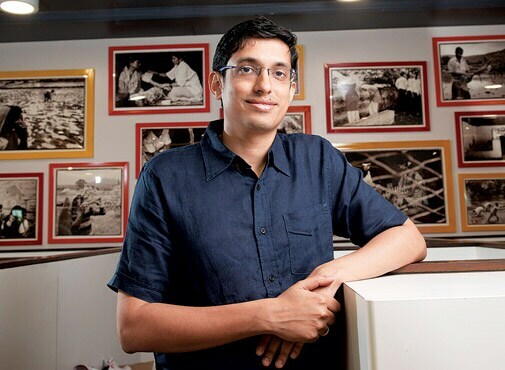 However, Peeyush Bansal, CEO of Lenskart, says Screwvala had been mentoring the company from day one. "He helped us streamline our business by asking us to opt out of some of the categories that were not yielding great returns. By doing so, our company has grown multifold." Lenskart, which sold barely 20 spectacle frames a day two years ago, today sells over 2,000. Bansal attributes a great deal of this growth to Screwvala's advice to exit jewellery, bags and watches. It was not just the venture fund, Screwvala also set up his NGO, Swades Foundation, around the time he sold UTV to Disney. Here again, his idea was not to merely sign cheques, but to create an ecosystem that would uplift a million people from below the poverty line. The NGO adopted six blocks in the Raigad district of Maharashtra and has been working in the areas of education, health, agriculture, livelihood, water and sanitation. "We wanted to build a model that can be scaled and duplicated with other people," says Swades' cofounder Zarina Screwvala. As Swades touched the lives of over 400,000 people in the last two years, it would have demanded a lot more of Screwvala's time. Not surprisingly, by October 2013, Disney India was rife with the talk of Screwvala's likely exit. A month later it was public. According to Screwvala, this was a natural progression. "Soon after I took over as MD of Disney India, investing in some interesting companies as a venture capitalist was the only thing I could do, because my focus was on building The Walt Disney Company. However, by June 2013, I realised I was transitioning the thought process and by December I moved out." Screwvala has dabbled in multiple businesses: from theatre to cable TV to selling toothbrushes and eventually films and broadcast with UTV. No wonder his dilemma after he exited Disney was whether investing in companies was all he wanted to do. "A lot of people told me to chill. But had chilling in the Bahamas been my trait, I would have never become an entrepreneur." The family took a 10-day vacation in New Zealand during the Christmas holidays of 2013. It was uncharacteristic; Screwvala had believed that a four to five days' break was all one needed to rejuvenate oneself. "Both my wife and daughter were surprised when I said 10 days. But the idea was to step back and look at what I wanted to do for the next 20 years." By the time they returned, Screwvala was clear he could not just sit around and make investments or mentor people. "I was happy with the investments I had made, but that wasn't something I wanted to do forever." Screwvala's maiden investment after his exit from Disney was in the Pro Kabaddi League, under his company U Sports, in March 2014. He bid and won the franchise rights for the Mumbai team, U Mumba. The investment, he says, was by happenstance. "Zarina was on the same table as Anand Mahindra at an event, and when he talked about kabaddi, she said that was just the kind of thing that Ronnie would be crazy about." Before Mahindra could invite Screwvala to bid for a team, Screwvala had called him and expressed his interest. "[Kabaddi] is disruptive. It is an underdog and there is a brand to be created." That marks it apart from cricket, which is already an established and mature sport. Mumbai alone has 400-odd kabaddi teams and for Screwvala that was an opportunity staring at him. "The sport is being played by so many people, but it doesn't have the right platform." 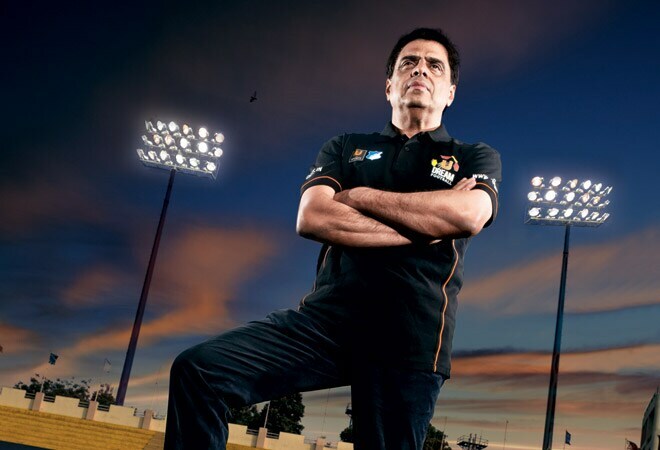 Screwvala's U-Mumba was the runner's up in the first edition of the Pro Kabaddi League and he is confident that his Rs 1.5 crore investment in the franchise will break even this year. Screwvala says the annual revenues in kabaddi envisaged from advertisers, sponsors, broadcast rights and gate sales would be between Rs 20-25 crore. "Kabaddi for us will be profitable from this year onwards, which is a record of sorts as till date no league has been profitable from the second season. This is a reflection of the popularity of the sport, as also the right costs model for the game," he says. Screwvala is, however, already looking beyond U Mumba. U Sports will not be restricted to the Mumbai franchise. Its vision is to groom talent and ensure that kabaddi is played in every street corner. Hitesh Gossain, former head of the sports marketing arm of Percept Holdings, who has now turned entrepreneur with online sponsorship company Onspon, says the entry barrier in kabaddi is extremely low, especially in comparison with the Indian Premier League, the cricket carnival, whose Mumbai franchise went to Reliance Industries for more than Rs 100 crore. "Ronnie's is a very good early-stage investment in kabaddi. Even if the League doesn't take off, the exit won't be that difficult." Screwvala's bet on kabaddi is already showing early signs of paying off. Pro Kabaddi League's first season, in which U Mumba lost in the final, drew 435 million television viewers. That is the second-highest viewership for a sporting event after the IPL. And not that far behind: the IPL got 552 million last year. The kabaddi venture follows the pattern of Screwvala's other investments: invest in nascent, greenfield businesses and scale them up. When he entered cable TV way back in the 1980s, the business was unheard off. In film production, he burnt his fingers with the first, Dil Ke Jharoke Mein, a typical Bollywood masala that lost Rs 10 crore. But Screwvala bounced back with a successful bet on the off-beat Rang De Basanti. Swades, another off-beat, was not as big a hit, but drew fulsome praise and established UTV in the top league. In the same manner, soccer had beckoned at one point. But Screwvala chose not to invest in a franchise for the Indian Soccer League. Instead, he chose to try and build an ecosystem, just like he is trying with kabaddi. His sports marketing arm is now doing a talent hunt. Every year it will send up to 90 children of 12 to 16 years for training to the Bundesliga soccer club in Germany. The hope is that each child, once fully burnished by the German stint, will be lapped up by football clubs across the world. Screwvala's company will make money by managing them. Why not set up a football academy and charge students a fat fee? "I would have been profitable from day one. But my experience teaches me that if you build a strong team it will complete the picture." He is prepared to be in the investment mode for the next three to four years, which is how much the training and eventual monetisation is expected to take. If this project succeeds, it will go against the tide. Every league, be it badminton, cricket, basketball or soccer, has been talking about building a grassroots talent ecosystem, but none has done it. 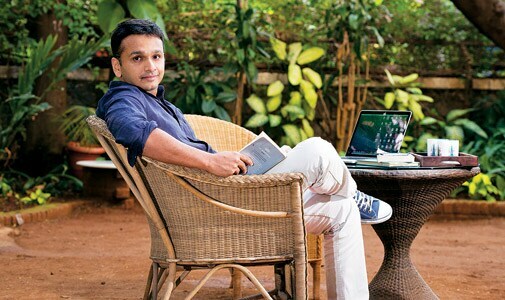 Devraj Sanyal, MD (India and South-Asia), Universal Music, who earlier headed Percept D'Mark, the sports marketing arm of Percept Holdings, says that grooming talent and making it saleable is an expensive proposition. "It could take Ronnie more than five years to be profitable, but considering the rising popularity of football and of course Ronnie's business sense, I am confident it will work." U Sports is also looking at motorsports and plans to make it a Destination Sport. "We will pick the most exotic destinations in India (Diu/Goa/Pondicherry/Ladakh) and will have bike racing against the picturesque backdrop," says Screwvala, adding that he plans to create and own the league that it would launch in late 2016. In the first half of his entrepreneurial journey, Screwvala rolled up his sleeves and built his business brick-by-brick. However, in the second innings, his strategy has been to have a partner with a deep understanding of the business. Two of his recent announcements have been U Education and a digital media business called U Digital. U Education will provide online higher education, especially for working professionals. For this, Screwvala has partnered with Mayank Kumar, Vice President, Bertelsmann India Investment, a venture capital fund that invests in education and the digital sector. For U Digital, Screwvala has partnered with B. Sai Kumar, former CEO of Network 18. "Ronnie sent me a message exactly a day after I quit Network 18. We had exchanged close to 150 intense e-mails before we zeroed in on what we wanted to do on the digital platform," says Sai Kumar. Neither Screwvala nor Sai Kumar is willing to divulge much. "We will do original content and it will be a blend of various genres and formats," says Sai Kumar, who has roped former COO of Network 18, Ajay Chacko, into the business. Screwvala says he plans to invest close to Rs 150 crore in this business over the next three years. The core content will be in Hindi. The plan is to launch in regional languages and also go out of India. The education industry is highly fragmented and unorganised. The country has scores of professional colleges, but the number of employable youth these colleges churn out is negligible. "Less than 20 per cent of students graduating from universities are actually employable. If you double click on that you will realise that universities have not kept pace with the way industry's needs are changing," says Kumar, Screwvala's partner in U Education. Therefore, U Education plans to offer high-quality higher education in entrepreneurship, Big Data, and new media, among other segments, that will make professionals "smarter", and not offer traditional postgraduation courses. It is no secret that MBAs have to often unlearn half of what they are taught at business schools, which is very different from what happens in the real world. That, says Screwvala, was the biggest turn-on for him. "We will enable people to learn practical thought processes." Digital seemed the smart way to do it. Brick and mortar is capital-intensive as well as limited in reach. U Education, which will partner with leading American, European as well as Indian industries to offer degrees, will enable students to access lectures at their convenience. "In India, a lot of people have a financial compulsion to start earning a little early, which takes away their passion to learn more. Here you can continue to learn at your pace," says Screwvala. Online universities abroad are big businesses. The University of Phoenix in the United States makes $4 billion a year. Coursera has 25 million registered students. But this is India. And Screwvala is talking about teaching people who may consider themselves well-taught already. "Research shows that in India very few people improve their learning curve through online education as the motivation to pursue studies online is quite low. The dropout rate is extremely high," points out Anustup Nayak, Vice President, XSEED Education. Though U Education may be the first Indian online university to offer higher education, there is a host of online education companies like Khan Academy and Meritnation that offer classrooms for high school students. They have succeeded in creating awareness for online education in India, but none is profitable yet. The greatest challenge all of them face is that they are not getting enough paid customers. Screwvala is alert to the challenge, but remains confident of success. He says U Education will charge fee ranging from Rs 50,000 for the three-month courses to Rs 2 lakh for the annual ones and higher for two-year courses. "Part of our work will be to communicate our training. If we get it right with the first few students who will experience our courses for six months, it will go viral." He plans to invest Rs 100 crore over the next three years in this business, and is confident of seeing profits by end of the fourth year. Screwvala has absolutely no experience of any of the businesses in which he has invested. He hopes that will work in his favour. "It is like a doctor running his own hospital and an entrepreneur who is not a doctor running a hospital. I was never a football freak, neither was I a Hindi movie freak when I was a studio. I think that helps run a business." Some of his associates agree. Rajnish Dhall, MD and CEO of Micro Housing Finance Corporation, in which Screwvala has invested, says Screwvala for sure has a fresh angle in every decision they take. "He gets us to think harder about every issue and brings a completely new perspective that none of us would have ever imagined." For now, little seems to have changed in the way Screwvala lives his life. "I have been someone who has always been on the treadmill and I like it that way." Will all the running take each of his new businesses to a billion dollars in five to seven years, as he hopes? Let's ask his friends if they believe him.